Iceland is a tiny island surrounded by icy ocean; its nearest neighbors are icebergs and whales. Given that, it would be easy to miss Iceland completely, except that the country is perfectly placed midway between the United States and Europe. This makes it a perfect stopover for those journeying across the Atlantic. And, if you’re going to stop even momentarily in this small, but unique place, why not extend your layover a little longer and see what all the buzz is about? This is what Iceland’s booming tourism industry is based on. Many people first visit Iceland on a layover, then return again to explore even more deeply. Because, while it’s quite easy to get a good taste of Iceland in just a handful of days, you’ll absolutely find yourself wanting more. 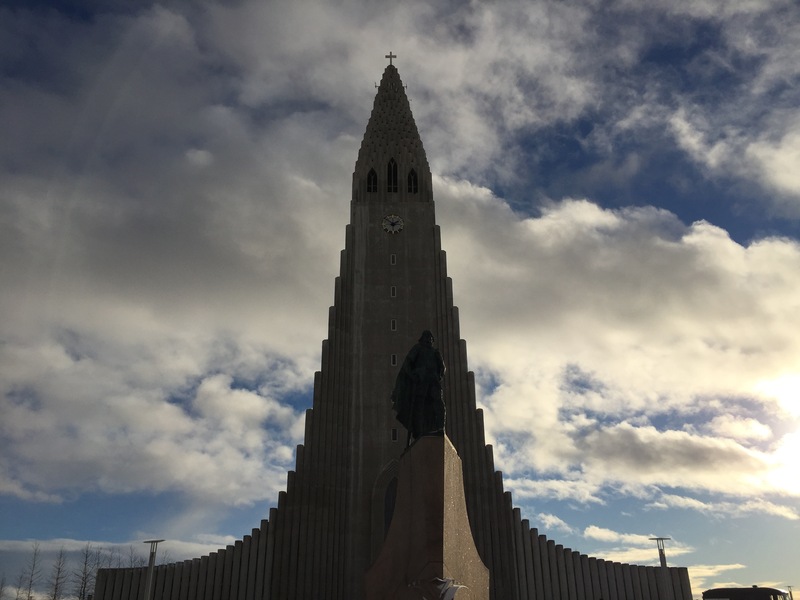 I journeyed to Iceland for a quick three-day stopover, thanks to Icelandair’s direct flight from Seattle to Keflavik Airport. Ten hours is a long journey, but a spacious Economy Comfort seat and plenty of inflight entertainment made the time pass quickly. Any short visit to Iceland will probably center around Reykjavik, the neat and tidy capital city (really, the only city) in Iceland. Of Iceland’s 320,000 inhabitants, nearly 200,000 call Reykjavik and its suburbs home. While Reykjavik was paralyzed by the 2008 financial meltdown, tourism has revitalized the city and it’s now a fast-growing nightlife, dining and shopping hotspot. Reykjavik is about an hour from Keflavik airport and easily reached via the Flybus service. While all the main tourist spots in town can be seen in an afternoon, part of enjoying the city is just wandering, poking your head into the shops (some of which sell distinctive art or wool clothing) and maybe relaxing with a coffee in the shadow of Hallgrimskirkja cathedral. Iceland has its own distinctive cuisine, which focuses heavily on its natural resources of fresh seafood, lamb and beef. Hearty rye bread is a staple here, and many dishes are finished with a sprinkle of black volcanic salt. There are many upscale restaurants where you can try traditional and experimental local dishes. One favorite is Grillmarkadurinn, a grilled meat and seafood restaurant that is popular with locals and visitors alike. Reykjavik also has a booming craft cocktail scene. Stop by one of its cocktail bars like Slippbarinn for something innovative and different to help keep the cold night warm. Short trips can make it difficult to truly connect with locals, but luckily Icelanders are friendly people with a lot of pride in their small nation. It’s easy to connect with locals while out around town, but intrepid travelers can also take advantage of Icelandair’s new Stopover Buddy service. Icelandair travelers who sign up receive their very own personal Icelandic friend, an Icelandair employee who will spend the day with you touring attractions. The program is catered to your personal interests – be they adventure sports, shopping or fine dining. During my stopover I was paired with Margrét, a veteran flight attendant and Reykjavik native who enthusiastically toured me around town. When she heard I was interested in learning more about Iceland’s food and culture, she took me on a guided tour of the country’s beautiful new performing arts space, the Harpa Concert Hall, and planned several delicious meals around town. In the evening we dined with her husband and adult daughter. I definitely felt like part of the family. Just met my stopover buddy Margret. She is going to show me around Reykjavik today! The hard truth for layover visitors is that most of Iceland’s amazing and unique features are outside of the immediate Reykjavik area. The countryside is vast and full of geothermal anomalies, rugged landscapes and towering waterfalls. Many of these sights require a car and several days to fully explore. Luckily, anyone with just a day to spare can take a Golden Circle tour via bus or car. The Golden Circle is basically a taster platter of Iceland’s insane natural beauty. There are three major sites on any Golden Circle tour, starting with the largest waterfall in Iceland, a behemoth beauty by the name of Gulfoss. It’s rugged and wild and absolutely enormous. 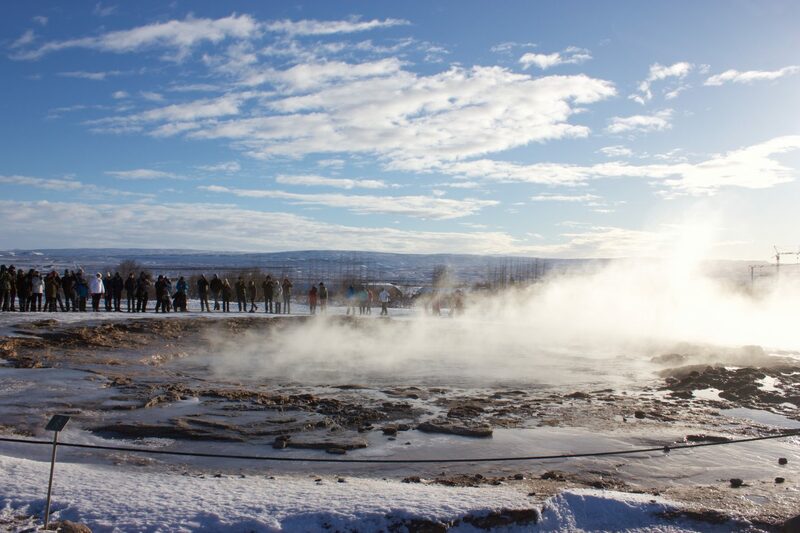 You will also get a chance to visit a geothermal field, home to the Great Geyser- the first geyser discovered by Europeans, after which all others were named. Although it’s largely inactive, the nearby Strokkur Geyser erupts about every 5-10 minutes, spewing steam and bubbles around the stunning landscape. Finally, the circle swings by Þingvellir National Park, an area of great historical significance for Icelanders. It was here that the Icelandic Parliament was established in 930. In addition to being a beautiful area full of lakes and distant volcanos, Þingvellir is nestled into a rift valley where the Eurasian and North American plates meet. Continental drift causes great rifts and canyons in the landscape. Iceland’s landscape is rough and wild and almost otherworldly. It’s this, more than anything that will convince you to come back, because there is so much more to see and do beyond this tiny glimpse. Visit Iceland with Icelandair, Alaska’s newest Mileage Plan partner. Icelandair operates flights from 16 cities in North America to Iceland with connections to more than 20 destinations in Europe, including Amsterdam, Brussels, Copenhagen, Frankfurt, London and Paris. Travelers can also enjoy an Icelandair stopover to visit the city of Reykjavik and tour surrounding areas for up to seven nights at no additional airfare charge. 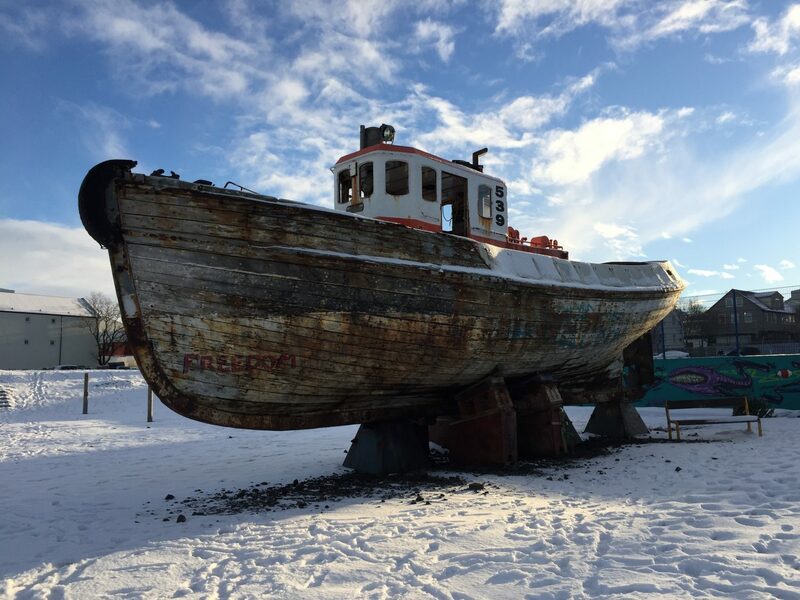 4 comments on "How to make the most of a stopover in Iceland"
Hi, Stephanie , it is so nice to read your very nice article about your visit to Iceland. Look forward to meet you in Seattle ! Your Stopover Buddy Margrét ! flying to italy in september for a wedding on the 21st. now im lured to see iceland since i have 3 weeks to spare. any suggestions on how to complete my itenirary. Thank you for this informative article. I am planning a trip to Iceland—without a stopover–just to experience this most beautiful & unique country.